DiskPlay is a system to enhance in-track navigation with digital vinyl systems (DVS). Traditional records provide a lot of information through their physical structure, such as track start and end, or the mood of the song. Due to their generic nature, the structure of timecode records does not map to the song loaded in the software. 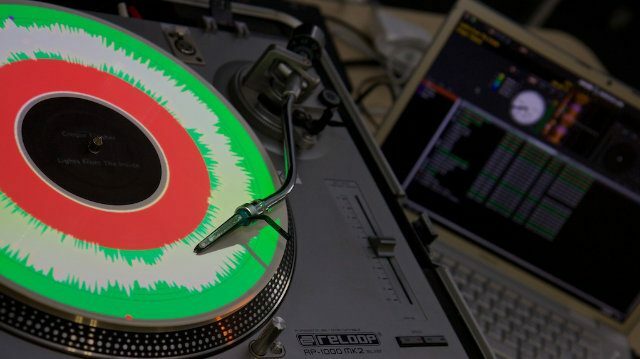 Thus, the DJ has to switch focus between the visualization on the computer and the turntable he manipulates. 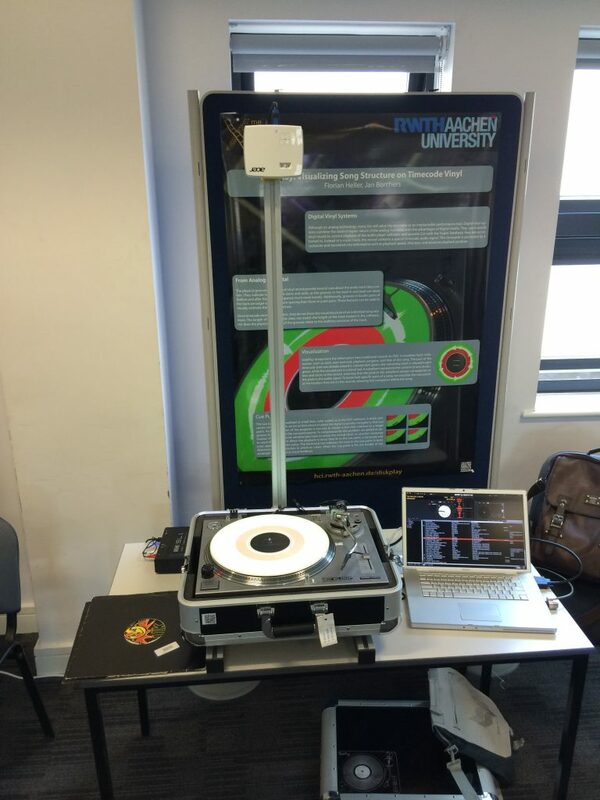 DiskPlay augments existing timecode records with visual cues known from traditional vinyl or common DJ practice. This recombines control and visualization on the same device, reduces the number of required focus changes, and allows the DJ to fully concentrate on the familiar hardware while mixing. Justus Lauten and Sebastian Burger worked on this project as part of their theses at RWTH Aachen University. F. Heller and J. Borchers, “Diskplay: In-Track Navigation on Turntables,” in CHI ’12: Proceedings of the 2012 ACM annual conference on Human Factors in Computing Systems, 2012. F. Heller and J. Borchers, “Visualizing Song Structure on Timecode Vinyls,” in NIME ’14: Proceedings of the International Conference on New Interfaces for Musical Expression, 2014, p. 66–69.